WE THANK OUR CURRENT SPONSORS! Custom environmentally conscious technical athletic and sportswear products in beautiful fabric blends. Customer-first businesses selling great nutritional products for endurance athletes. No hype, just great products and service. 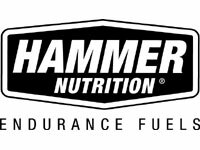 I have been using Hammer Nutrition products for the past 10 years for all my endurance related races and adventures. I really believe in the products we will be using in this race. Specifically you will find the American team using the following products: Perpetuem, Endurolytes, Heed, Hammer Gel, Recoverite. Learn how to use these product by reading the The Endurance Athlete’s Guide to Success.